Our August Twitter chat is happening on Sunday 7th Aug at 8.30pm Sydney time (click here to see the time where you are). In our Twitter chat for August 2016 we discussed reflective practice. This chat has now taken place but you can read the transcript/summary here. Could we do it better? How? Is RP really a skill that can be developed? How can practising teachers, trainers and managers also benefit from RP? What are some problems or obstacles to effective RP? What are some useful ways to ‘operationalise’ it for individuals or institutions? Looking forward to discussing these questions or any others you care to bring with you on Sunday. So you have a Twitter account – now what? This entry was posted in #AusELT Twitter chat, autonomy, change in the workplace, learning organisation, management, Professional development, Teacher training, Twitter and tagged #AusELT, #AusELT Twitter chat, autonomy, chat, EFL, ELT, ESL, how to, management, professional development on August 6, 2016 by #AusELT. The passive is a difficult structure for English language learners to understand and more so to put into use. One misunderstanding they have is in regards to who or what is doing or instigating the action in question. As Parrot (2010, p. 336) points out, learners can confuse the subject for the agent in a passive sentence e.g. “A man was attacked by three women.” Another issue is that they have trouble selecting appropriate verbs with which to construct the this pattern. For instance, as Carter, McCarthy, Mark, and O’Keeffe (2011, p. 367) explain, we cannot form the passive voice with intransitive verbs. The reason this is, Swan (2005, p. 386) says, is because “there is nothing to become the subject.” Swan also points out that there are also some transitive verbs not used in the passive, most of which are state verbs. Even once an understanding of the passive has been reached, learners still have trouble using it. Parrot (2010, p. 337) observes that many learners, even those with a good grasp of the passive, avoid using it all together. Conversely, one of the main problems I have witnessed after instructing students is that they over-use it, using it in sentences and expressions that are not typically expressed in the passive. With this in mind, the aim of this lesson is to present the present and past simple forms of the passive to students and give them a controlled opportunity to use it so that they can produce appropriate sentences. Bananas are grown in Queensland. Farmers grow bananas in Queensland. Ask the class, ‘Why are farmers not written in the first sentence?’ (The main focus is bananas; it’s obvious who grows them.) Now bring attention to the form of the second sentence. Elicit the tense from the students: present simple. Underline the verb: grow. Then bring attention to the passive sentence and elicit what auxiliary verb is used: be. And what form the other verb is: past participle. Underline and label these verbs. (It is probably better to model the passive using irregular verbs because the past participle can easily be distinguished from the past simple verb.) You can now explain that the first sentence is a passive sentence and the second sentence is an active sentence because the subject (the agent) does the action. Coffee is grown in Russia/Colombia/Canada. The Mona Lisa was painted by Michaelangelo/Picasso/Di Vinci. Ask them if they all know what the Mona Lisa is and what it is a painting of. Show them a picture on a phone if they do not. Then ask the class, ‘Who painted the Mona Lisa?’ Followed by the question, ‘Is this an active or passive sentence?’ (Passive) Elicit the position of the agent in a passive sentence and highlight the preposition needed before the agent (by). Now ask the students, ‘What is the tense of the sentence?’ (Past simple passive) Highlight the past form of the verb to be and the past participle. Then bring their attention to another list of verbs on the board: paint, invent, create, write. Instruct each team to write another three sentences in the past simple passive using the verbs on the board. Elicit things the students can write about e.g. paintings, inventions, books etc. Monitor and assist without directly correcting the sentences. Once the students have completed their six sentences you can then start the quiz. Tell them they will receive one point for every correct answer they guess and one point for every correct sentence they write. The first team will read their first sentence and the three possible options. Give the other students about 30 seconds to decide on the answer. Collect answers from around the class. Now have the first team read out the original answer and give a point to any of the teams who had the correct answer. Then ask the class if the grammar of the sentence was correct. If the essential features of the passive were present, give the team a point on the board. Then move to the first question of the second team and repeat the steps. After all the questions have been read and answered, tally the scores and announce the winner. If you are running out of time, you can simply have three or four rounds of questions instead of six. This has proven to be an effective lesson by which to both teach and practise the passive. It also works at higher levels as a review. Its effectiveness hinges on the novelty and competitiveness of practising grammar through a quiz and also because of the verbs that have been given to the students. The latter point is extremely important with lower levels since it helps prevent students from writing passive sentences which do not resemble native language. Furthermore, the verbs provide direction in content, since the students will probably know some common collocations of the verbs i.e. paint a picture, grow fruits and vegetables. Carter, R., McCarthy, M., Mark, G., & O’Keeffe, A. (2011). English Grammar Today. Cambridge: Cambridge University Press. Parrott, M. (2010). Grammar for English Language Teachers. Cambridge: Cambridge University Press. Swan, M. (2005). Practical English Usage. Oxford: Oxford University Press. This post by Peter Guylay. Peter has been working as an English language teacher for over ten years and has taught in Korea, China and his home country of Australia. He has an interest in Critical ELT and has also written for the English Australia Journal. This entry was posted in Grammar, Lesson plans and tagged EFL, ELT, ESL, grammar, Lesson plans on July 26, 2016 by #AusELT. In this post, Agi Bodis outlines some of the issues around native-speakerism in preparation for our upcoming chat. This chat has now taken place. Click here to read the summary. Some of you may remember that an ad for a pronunciation course recently created an interesting discussion on our Facebook page. The course claims to help ‘overseas-born professionals’ fine-tune their pronunciation to improve employment opportunities. It is interesting to note that the word ‘native’ is not mentioned anywhere, but it prompted us to discuss the role of the ‘native speaker’ in ELT. The ad addresses – or perpetuates – the so called ‘accent ceiling’ (Piller, 2011, p. 144), a boundary many L2 speakers of English experience at the workplace or when attempting to find employment in an English-speaking country. 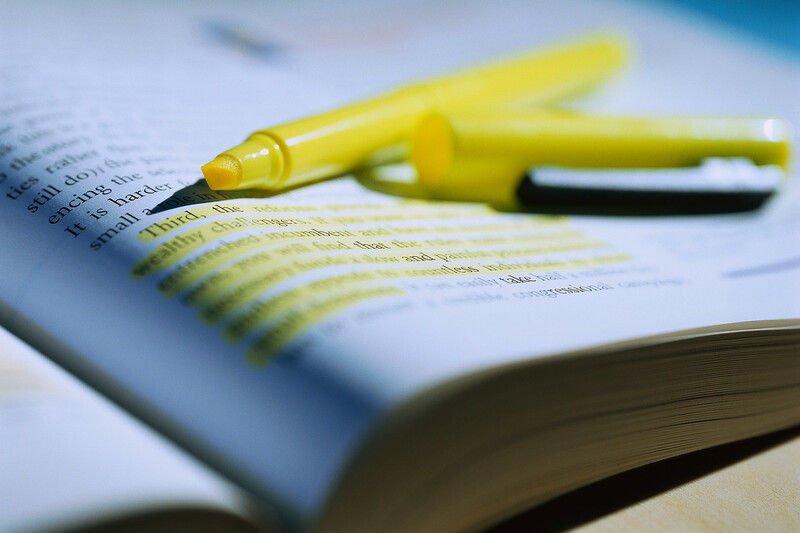 A few of us have questioned the concept of ‘native’ or ‘native-like’ accent as it appears to be a vague term, but it is still something that many students aim to achieve in order to advance professionally or avoid being judged. So what is ‘native speakerism’? It is an ideology, a commonly held belief, which considers the native speaker as the ideal model for language use, and in ELT, ‘the expert’ when it comes to language teaching methodology as well (Holliday, 2006). The phenomenon thus has implications not only for what is taught and how it’s taught, but also who is entitled to teach the language itself. In her recent plenary at IATEFL 2016, Silvana Richardson spoke passionately about the discrimination non-native speaker ESL teachers face and the negative impact this has on their professional identity even though the vast majority of English language teachers in the world are non-native speakers (over 80%, according to Richardson). She questioned the legitimacy of the term ‘non-native speaker’ as it defines people by what they are not, and emphasised the need to shift from a native-speaker competence to a multilingual competence. She proposed that teacher trainers review their programs to make sure these issues are addressed. She also urged teachers to show their support at work and beyond, and join advocacy groups. One such group she mentioned was TEFL Equity Advocates, whose founder, Marek Kiczkowiak (@MarekKiczkowiak), will be joining us in our Twitter chat. Another related issue that has come up on our Facebook page is the effect of the market: “students want native speakers” or a certain variety of English. Richardson addressed this issue too pointing out that from research it seems that students value professional qualities more than nativeness. Looking forward to our discussion! Piller, I. (2011). Intercultural communication : A critical introduction Edinburgh: Edinburgh University Press. This entry was posted in #AusELT Twitter chat, change in the workplace, employment, native speakerism, Teacher training, Twitter and tagged #AusELT, #AusELT Twitter chat, chat, EFL, ELT, employment, ESL, management, Twitter on April 26, 2016 by #AusELT. This is the second in a short series of blog posts inspired by Adrian Underhill’s workshop on Developing a ‘learning organisation’ approach to PD, which he delivered at various locations in Australia recently. To find out more about Adrian Underhill, read his recent interview in the English Australia Journal. 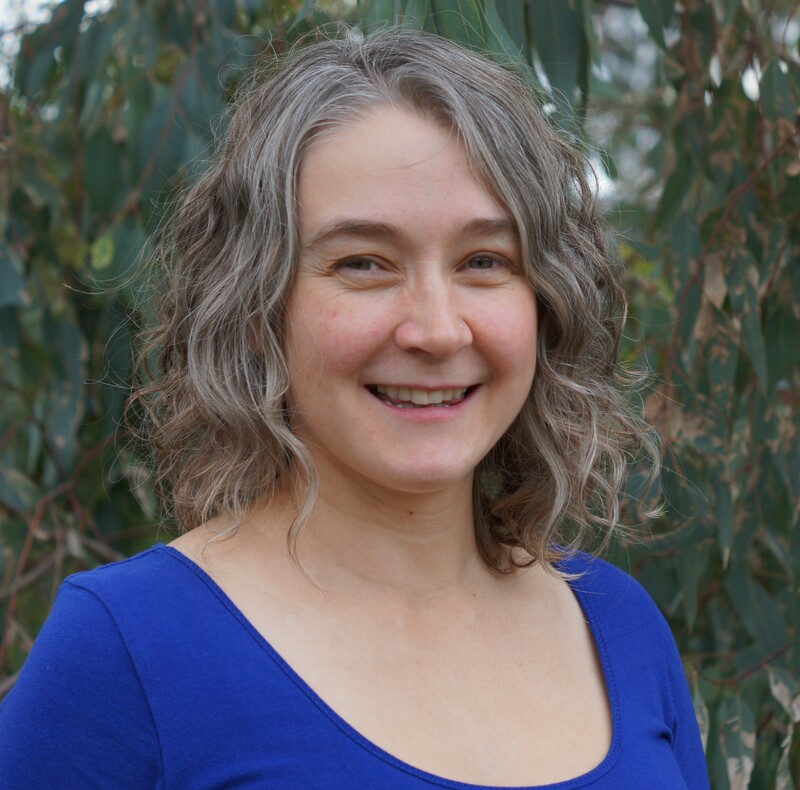 Tamzen Armer is currently Assistant Director of Studies at an LTO in Canberra, and Reviews Editor at the English Australia Journal. Adrian Underhill’s session on “Developing a ‘learning organisation’ approach to PD” raised some interesting questions for me about learning in my LTO. In keeping with my key ‘take-away’ from the session, allow me to share . . .
Identify something you have learnt at work recently . . . who else knows you have been learning that? Throughout the workshop, Adrian made reference to “the mess we’re in”. For me, that mess was perhaps best summed up by the question above – who else in my organisation knows what I have been learning, and indeed what do I know about what others have been learning? It seems to me that in my organisation a lot of learning must be getting wasted. I know I rarely share my learning with others and I suspect that is the same for other people. It’s not because I don’t want to share, but there never seems to be the time, the opportunity or the forum. In an organisation I worked at previously, there always seemed to be discussion about teaching and learning, about how to explain things to students, about how best to teach things, about what people had learned at external PD sessions. It all happened in a very organic way, outside of organisation-imposed PD sessions, and it was extremely important for me as a relatively new teacher. These discussions made me enthusiastic about English, about the job, the possibilities. It helped me bond with my colleagues. It gave me confidence when I felt I could contribute to the discussions and when I didn’t, I learned things. There are no ‘universal’ solutions to ‘local’ situations . . . So what is different in my current LTO? Well, to start with, the way our timetable works means that there is no common break time or lunchtime. Or start or finish time. A lot of the discussion in my previous organisation occurred during the short breaks in classes or after class when everyone would be in the staff room. The staff room: difference number two. At my current organisation some teachers are in two-person offices; the others in 10-person rooms. But because of the timetable, there may only be a couple of people in those room at any one time. It seems to me that both of these factors impede the sharing of ideas and opinions and thus learning is wasted. It’s been easy for me to notice this but to put it in the “too hard” basket. However, having the time in Adrian’s session to focus on this problem, to talk through it with others and to see that no ‘universal’ solution does not mean no solution, was very useful. We need to develop local knowledge that follows the contours of the setting and circumstances we are in . 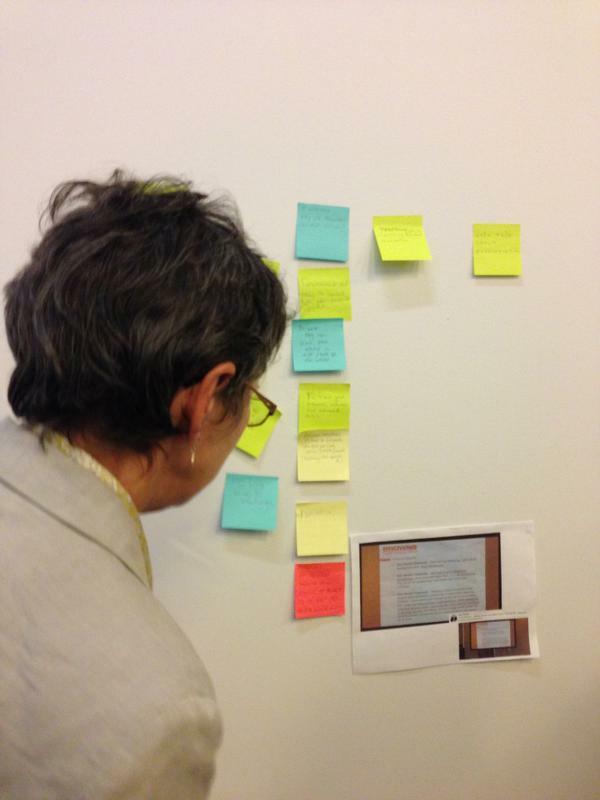 . .
A number of suggestions were made by other workshop attendees. The first was having a noticeboard in a common area where things could be shared. Unfortunately as our common areas are also common to other departments, as well as accessible to students, I had to rule this one out. A second suggestion was to have face-to-face meetings/idea shares. I know this is popular with teachers as when we have done it in the past, feedback has been good. However, the time constraints mean this is only really possible in our non-teaching weeks which occur four times a year. This did not seem frequent enough to create the kind of collaborative environment I was envisaging and also our sessional and casual teachers, the bulk of the staff, aren’t generally around at those times. However, as people are keen on this kind of forum, it seems worth pursuing and I think it would be possible to have more frequent get-togethers of smaller groups and, by changing the meeting times, different combinations of people could come together. A final suggestion was a closed Facebook group where ideas could be shared. Another attendee reflected on her experience of using this kind of forum in her LTO and it seemed promising and would certainly overcome many of our “environmental” constraints. Fortuitously, this workshop occurred just before one of our non-teaching weeks and I took the opportunity to arrange an informal PD session in which I reported back on my learning from Adrian’s session and had colleagues who attended the EA Conference share what they learned there. There did seem to be a general feeling that we could be sharing more and a number of avenues for communication were suggested by staff. Firstly, people were, as expected, keen to meet face-to-face, even for relatively short periods of time. There was also a feeling that email, as our main workplace channel of communication, could be used for such purposes. One colleague suggested having a particular subject-line convention such that emails of this type could be easily identified/redirected into folders to save them disappearing into the mass of email communication which fills the inbox each day. It was also suggested that our staff Moodle site be used to collect and store useful links, and indeed a number of the conference attendees had already put links to sessions they found particularly beneficial on there. Do you, the teacher, demonstrate the quality of learning you want your students to develop? In our classrooms we ask learners to communicate, co-operate and collaborate. We expect our learners to think critically about resources they use, and we expect them to become autonomous in their learning. It will be interesting to see now whether we are able to do the same. Disclaimer: The views expressed here are those of the individuals, and not those of #AusELT in general or of English Australia. This entry was posted in Conferences, learning organisation, management, Professional development, Systems Thinking, Uncategorized and tagged #AusELT, Adrian Underhill, EFL, ELT, English Australia Journal, ESL, LTO, management, PD sessions, professional development on November 4, 2014 by #AusELT. This is the first in a short series of blog posts inspired by Adrian Underhill’s workshop on Developing a ‘learning organisation’ approach to PD, which he delivered at various locations in Australia recently. To find out more about Adrian Underhill, read his recent interview in the English Australia Journal. 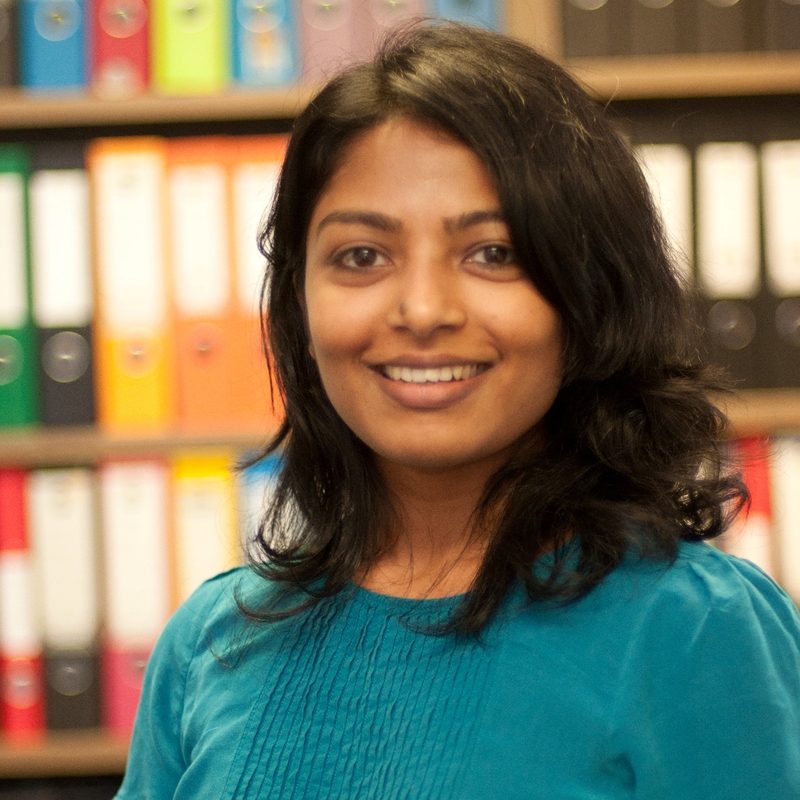 Aparna Jacob is a first-time Director of Studies at an LTO in Sydney. She is passionate about professional development for teachers and is keen on developing a learning culture at her organisation. She holds an IDLTM amongst other industry-related qualifications. At his workshop on Developing a Learning Organisation approach to PD, Adrian Underhill highlighted a few key ideas that set me thinking about impediments to systems thinking and sharing learning that most Language Teaching Organisations (LTO) would face. Below, I examine some of the ideas from the session in the context of the LTO I work for and look at a few possible solutions. There is no ‘arrival at quality’. It is not a rest state that you gain and retain. Quality is an ongoing and permanent journey, driven by the constant inquiring activity of the organisation. Like most small-medium private ELICOS providers, our LTO operates largely as an “organic organisation” (Robbins, 2011, p.451) characterised by a centralised head, the CEO, from whom all budgetary decisions flow. Vertically, there are few management tiers and departmental structures are uniformly flat with wide spans of control. Typical of an organic organisation, everybody is expected to contribute to all operational aspects and overall there is a low level of formalisation and structures, procedures and practices are flexible. Yet, within this system, largely due to what Charles Handy refers to as the dominant “person culture” (in White, Hockley, Van der Horst Jansen, & Laughner, 2008, p.36), initiative and quick decision making are the norm and any change is quick to be implemented. Profit, rather than a unifying mission and vision, is the driving imperative on which most decisions are based. Daily fire-fighting takes precedence over “systems thinking”. The LTO’s lean processes do not prioritise intangibles such as reflection, learning and investing in individuals. In such an environment, the term “quality” remains a catch phrase, an ever-elusive and mysterious state that we are constantly striving to arrive at. How can a team of committed managers with individual IQs above 120 . . . have a collective IQ of 63? The Academic and Marketing/Sales departments are often the two main departments at most LTOs. Conflicting priorities often mean they are at loggerheads over every issue from student recruitment, attendance monitoring to agent involvement. In the absence of a clear goal, not only do departments find it difficult to work together but it’s also not unusual for team members to compete against their teammates, focusing only on individual KPIs rather than the common goal of the team. Such an environment serves as a hothouse for Handy’s “Person Culture” typical of small organisations. Charismatic individuals, keenly focused on self-development thrive and become indispensible to the organisation. This in turn can also breed an unhealthy “Power Culture” where the person who has the CEO’s ear has authority and can establish their own direct line of communication irrespective of hierarchy. Learning, in such an individualistic environment is not shared to benefit the team or the organisation as a whole. Such an environment instead encourages “knowledge hoarding” where knowledge is gained and not shared so that one’s own agenda and status can be furthered rather than add to the learning of the organisation. Individual learning can be wasted unless harnessed at organisational level. Systems Thinking is the process of understanding how things influence one another within a whole. Systems Thinking begins when we see the world through the eyes of another . . . and realise that our own perspective is just a point of view. A systemic view of your school sees how everything is interconnected, healthily or unhealthily. The various departments in the LTO are largely autonomous and solely responsible for their functions. For instance, marketing functions are only carried out by the marketing team and teachers are divorced from these activities completely. This also means there is no real need to interact with the other departments thus resulting in departmental and knowledge silos and thereby the isolation of each department. The traditional dichotomy between the English teachers and Marketing Officers is evident at our LTO and the physical location of the two departments within the building contributes to this lack of interaction. The marketing department is located in the reception area so that the students have easy access to their Marketing Officers. Though teachers walk past the reception on their way to class, there is practically no interaction between the two departments. This lack of interaction or awareness of one another’s roles results in further disconnection between the two teams and even a lack of tolerance. Teachers often view trial students or agent visits to their classroom and an intrusion and interruption. Without an understanding of the various courses, teaching methodologies or classroom management techniques used in the classroom, marketing officers are unable to promote the schools products, services or teachers adequately. This then results in the marketing team focusing on superficial aspects of ELICOS products like “native teachers only” or “guaranteed IELTS results” without fully comprehending the complexity of the learning products. Teachers, on the other hand, lack the time or training to understand the cultural background of the students in their class and may choose to view them purely as learners rather than as fee paying customers. Human capital is not just having smart people . . . It is having smart people who are connected up . . . Recent changes at the LTO have necessitated a few frank discussions between the two departments particularly with regard to communication and identifying causes of miscommunication. Pressure from above to meet common targets has also had a unifying effect and this has forced the two teams to cooperate, understand one another’s viewpoints, compromise and arrive at solutions together. Progress is evident when meetings are solution-oriented rather than a discussion of hurdles in the way. Involving teachers and marketers to collaborate on meaningful projects like looking at the nationality mix in a classroom and making decisions on student recruitment, or allowing marketers to sit in on classes to gain a deeper understanding of products they sell, can provide opportunities to recognise the contribution of the other team and bridge departmental silo-isation. A discussion at the Underhill workshop has also resulted in the idea of Marketing Officers sitting in on classes with a few key observation areas in mind and use their understanding from these observations to better promote the courses. A meet-and-greet for marketers and teachers will also be held in the following months where teachers will develop a better understanding of the cultural background, learning styles and expectations of certain student groups. Learning becomes not just something that staff do for themselves or for the benefit of the clients . . . but something that everyone does for the flourishing of the system itself. A small LTO like mine is keenly focused on short term goals and immediate gains rather than developing a sustainable long term approach that involves investing in their human capital. Knee-jerk reactions and seeking quick-fix solutions to problems is the norm and this often results in unforseen long-term costs being incurred by the company. Responding to daily crises takes precedence over Systems Thinking habits like reflecting on our actions and consequences, examining our mental models more deeply, and seeing how our structure affects our behaviour patterns. Such reflection is essential to all LTOs as it will reveal the learning opportunities that lie just below the surface of everything we already do and transform the organisation into a learning “hot-house”. The first step towards this is harnessing in-house expertise and sharing this knowledge that has already been developed using the time and resources of the company. There are no “universal” solutions to “local” situations. Therefore we need to be guided by knowledge and experience from the people in the local situations . . .
We need to develop local knowledge that follows the contours of the setting and circumstances we are in. Honest inter-departmental conversations about working towards our shared goal, once identified, are an excellent starting point. Clarity of where we want to be means we can recruit the right people who can join us on the journey and help us get there. Any failures encountered on the way would only be opportunities for further joint learning. This way the entire school and its activities transform into an adventure park for everyone’s learning. Robbins, S.P. 2011. Organizational Behaviour. 6th ed. Pearson Australia. White, R., Hockley, A., Van der Horst Jansen, J., & Laughner, M. 2008. From Teacher to Manager: Managing Language Teaching Organizations. Cambridge University Press. This entry was posted in learning organisation, management, Professional development, Systems Thinking and tagged #AusELT, clients, conflict, EFL, ESL, learning organisation, management, professional development, Systems Thinking on October 23, 2014 by #AusELT. October’s Twitter chat got off to a bit of a shaky start as several people (who shall remain nameless) managed to forget that the clocks had gone back in Sydney . . . Anyway, sausages were burnt, direct messages were flying, but disaster was averted and we ended up with a small but productive discussion of everyone’s conference experiences. There was a particular focus on the recent English Australia (#EAConf14) and ACTA (#ACTA2014) conferences (click to see details and programs), but also – inevitably – some reflections of the nature and future of teaching conferences in general. The chat was moderated by Lesley Cioccarelli (@cioccas) – surely one of the most highly experienced conference goers & presenters in our community – and turned up MANY useful links and directions to pursue. You can read the full transcript here but this post aims to capture the most useful areas in more coherent form, with links, for your delight and delectation. So – enjoy! And of course, there were also some other stand-out sessions that chatters had seen or participated in. So let’s take a look at these first. Of course, not every presentation was about technology, but technology has become an increasingly present theme, mixed in – as it should be – with broader pedagogical, cultural and sociopolitical themes. Mark’s plenary was entitled Walking and talking around the world: A snapshot of international mobile English learning, and you can see his conference slides here. Also look out for an interview with Mark in the April 2015 issue of the English Australia Journal. Paul Forster (@forstersensei)’s #EAConf14 session on Engaging digital language learners had ‘rave reviews’ according to various sources, among them Nicki Blake (@Penultimate_K) who found it: “User-friendly and hands-on. Easy for those getting started in edtech to understand.” When @forstersensei was asked why he thought it had been so popular and he simply said: “I think there is still a lot of interest in technology and teachers are looking for ideas and training.” You can see the companion website Paul made here – if you couldn’t see his session yourself, this extremely clear, practical website will allow you to benefit just the same. Michael Griffiths (@trylingual) is another #AusELT stalwart who presented on tech, this time on his research regarding Online PD: Current attitudes and behaviours of ELICOS teachers. Unfortunately he had to miss this chat, but his session was live-tweeted and there were definitely some interesting findings – not to mention some very nice feedback on #AusELT’s usefulness as a professional community of practice. You can see Michael’s presentation slides here. Another #AusELTer, Lindsay Rattray (@ClassWired), also spoke at #EAConf14, along with colleagues Lachlan McKinnon, & Thom Roker on the topic of Digital literacies for teachers and students: A toolbox of practical ideas (click their names to see their pecha kucha slides). As further evidence of teachers’ increasing interest in pron, Lesley highlighted the popularity of the AALL Pron symposiums in Canberra (the next one will be on Friday 5th Dec 2014 – see details here) and mentioned that at the the pre-conference workshops at the 2013 ACTA Conference had been exclusively dedicated to pronunciation. @ariziosweeting was particularly interested in this changing attitude to pronunciation amongst language teachers: “Aus is making good steps to promote it [pron] more . . . my forthcoming article on SpeakOut calls it the Sleeping Beauty to acknowledge the perceived change.” Arizio will be at the Dec 2014 AALL Pron symposium along with fellow #AusELTer and pron researcher Mike Burri (@michaelburri). Keynote speakers will be Graeme Couper and Michael Carey. As it happens, Arizio also has a popular blog on pron (Pron Central) and he will also be co-running an EVO session with Piers Messum and Rosalyn Young on Teaching pronunciation differently in early 2015. @sophiakhan4 asked “What did the audience respond to most?” and @cioccas said: “Probably our passion! And the tweeting with Post-it notes on the wall ☺ ”. This pen-and-paper version of Twitter was a great idea and can also be used as an excellent classroom activity! Speaking of Phiona Stanley, @cioccas strongly recommended her session on Native speakers, intelligibility, and culture crossing: How native English speakers learn language grading on Cambridge CELTA at ACTA2014. Phiona also presented at #EAConf14 on Beyond ‘food and festivals’: How to teach critical interculturality in language teaching, which was also the keynote at the UECA PDfest 2014 in Sydney, so several chatters had seen it and all agreed it was excellent. Phiona also had a very interesting article in a recent issue of the English Australia Journal on Lessons from China: Understanding what Chinese students want. Adrian Underhill’s pre-/post-conf English Australia workshops on Developing a ‘learning organisation’ approach to PD also had a big impact on many attendees – so much so that we will be dedicating a few blog posts to it in the coming weeks. In the meantime you can check out his slides here. In the latter half of the chat, we got into some more general ponderings on the state of conferences today and what we might be looking for in the future. Below you’ll find some of the issues we touched on and what was said. Research or practical ‘take aways’? 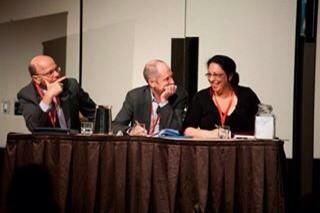 @forstersensei said: “For me #EAConf14 was lacking that practical focus that teachers want. Research is great, but teachers (in particular) want something to ‘take away’”. @Penultimate_K agreed: “There has to be some “take home” value – that’s why your companion wix was so much appreciated” @cioccas agreed: “Same for #ACTA2014. Need a balance. CAMTesol is the best I’ve been to in that regard, but CLESOL too” (in fact several chaters seconded CLESOL as a conference that strikes a good balance between professional, academic and other strands). Chatters generally agreed that balance was the key – we need both research-based and practical sessions, but may conferences seem to weigh overly heavily on the academic side. Many chatters mentioned UECA PDFest and similar “teacher-centred” events as being important in bridging this gap. Why are Aus/NZ confereces so expensive? @sophiakhan4 also suggested that “some of the $ of Oz confs is due to shipping in big name speakers – a needless expense?” @cioccas thought that “maybe just one big name would suffice each year” and chatters agreed, but both @sophiakhan4 and @ariziosweeting were in favour of seeing more “grassroots” presenters. Are organisers/attendees making good use of social media yet? @Penultimate_K commented that “use of ‪#socmed‬‬ channels to provide parallel info streams would go a long way to increase access” although @cioccas wondered “if Australian ELTs are up there with the ‪#socmed‬‬ yet though?” and @sophiakhan thought that that “tipping point” hadn’t arrived yet. Are conferences a dying paradigm? This entry was posted in Conferences, EdTech, Personal Learning Network, Professional development, Pronunciation, Uncategorized and tagged #AusELT Twitter chat, conferences, edtech, EFL, ELT, ESL, professional development, pronunciation on October 23, 2014 by #AusELT. 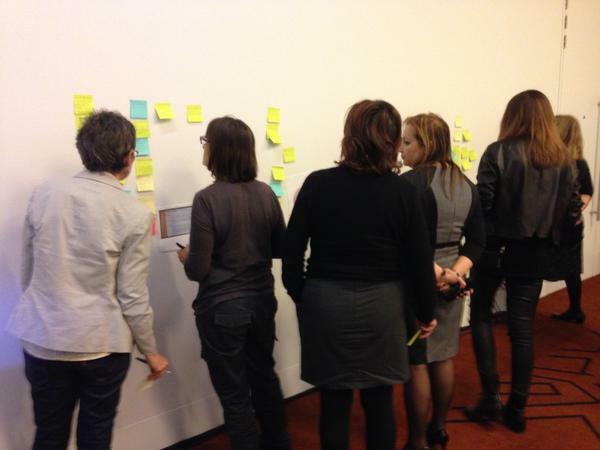 The #AusELT chat on learner autonomy on Thursday 4th September was once again lively, fast-paced and interesting. Phil Benson, Professor of Applied Linguistics at Macquarie University joined as guest moderator and supplied some pre-chat questions for people to think about beforehand. As the chat went on, it was clear that this was a subject that people often considered in their day-to-day teaching. Phil Benson (@philbensonmq) started the chat with the first question, ‘What does “autonomy” mean to you, personally, in your own learning, teaching, or professional development?’ Several people answered with ideas about freedom to choose learning style and students not needing a teacher, book or other guiding influence in their learning. Others mentioned the possibility of making choices and decisions based on their own desired outcomes, as well as being responsible for their progress, which led to discussion of the role that perseverance plays in learning autonomy. Motivation – the elephant in the room? At the same time, @forstersensei asked the question ‘Is motivation the defining factor in learner autonomy?’ and this issue wove its way throughout the chat. @andrea_rivett raised the point that motivation is very important but that students need to learn how to be autonomous, an idea that many agree on. Phil Benson agreed that descriptions of motivation and autonomy include a lot of the same things. As @Penultimate_K said ‘I find you’re more likely to “push through” if your learning is self-determined.’ However, people agreed that learner autonomy might be something that needs to be taught or developed. @forstersensei then asked if the ability to learn autonomously is inherent or learnt, which @SophiaKhan4 answered by saying ‘Humans are creative, learning creatures [therefore] inherent’ while @andrea_rivett thought that it is rather learned through modelling and by doing. @Penultimate_K also chose inherent, since ‘from infancy we are motivated to reach out beyond ourselves and achieve goals.’ Phil Benson later agreed with this but lamented that students lose that motivation ‘either because of school or things just get harder to learn.’ @SophiaKhan4 raised the possibility that students are discouraged from being autonomous through ‘education’. @forstersensei summed it up as ‘we could say all have the ability, but it must be taught/modelled at some stage.’ This became the main focus of conversation with @alicechik asking if autonomy is thus inauthentic if it has to be taught, which once more brought the teacher’s role back into the mix. Would it be so because it would be more the teachers’ concept of autonomy put into place, rather than the students’, thus possibly causing demotivation, as Paul Forster suggested and others agreed with. Doing what someone else wants you to do is not autonomy. @SophiaKhan4, in a brief summary, grouped together Motivation, goals, goal setting and knowing yourself, adding that ‘autonomy is the default’ , while others mentioned that it is perhaps ‘culture specific’. Phil Benson then commented ‘imagination, motivation, autonomy – I see these as things you can’t ‘teach’. It’s what do you do in a classroom to help them grow?’ The distinction between ‘teaching’ autonomy’ and ‘growing’ or developing it was seen as an important one because of the dangers of teachers treating it like just one more skill to teach. It was agreed that skills are associated with autonomy and that teachers need to shift focus to what we can do in a classroom to help students develop them. The teachers’ role? What can we do to help? The question of what strategies or activities can be used led Phil Benson to ask if the 10 strategies discussed here would help with ‘teaching autonomy.’ This was generally agreed but other strategies people liked were setting achievable targets and drawing on out-of-class experience, personalisation of content. This was an important point, according to many, who said that more needed to be done, not only by bringing materials into the classroom but also sending students out into society to complete tasks. Other points raised as the chat neared the end were the idea that ‘safety nets’ such as dictionaries, textbooks, teachers, etc. can be removed to encourage autonomy, while Paul Forster suggested that mobile devices could be brought in to do the same since students use them extensively outside the class to learn autonomously. @SophiaKhan4 said that this would depend on the learning context and @McIntyreShona mentioned time as a factor. @andrea_rivett felt that those traditional ‘tools’ could definitely discourage autonomy but Phil Benson asked whether dictionaries weren’t in fact good tools for autonomous learning. @Penultimate_K agreed that the potential for dependence on the traditional ed elements exists but the teachers’ role is to help students to ‘move beyond’ them. Phil Benson asked how mobile devices are relevant to autonomy and several ideas were given, such as smartphone dictionaries, apps for learning, learning communities online, access to extensive materials for reading and research. Winding down, Phil Benson asked ‘Autonomy can be defined as ‘the capacity to control one’s own learning’ with 98 characters to spare. What would you add?’ @alicechik added ‘over time and space with imagination and creativity.’ @Penultimate_K half jokingly threw in the term ‘heutagogy’ which our guest moderator liked. The hour ended with everyone saying how much they had enjoyed the fast paced chat full of ideas and learning. Many thanks to Phil Benson for joining the chat and providing some thought provoking discussion throughout the hour. Benson, P. Autonomy in language teaching and learning: How to do it ‘here’. Block, D. (1997). Learning by listening to language learners. System , 25(3), 347-60. Borg, S., & Al-Busaidi, S. (2012). Learner autonomy: English language teachers’ beliefs and practices (ELT Research Paper 12-07). British Council, London. Smith, R (2008). Learner autonomy. ELTJ, 62(4), 395-397. This entry was posted in autonomy and tagged #AusELT Twitter chat, autonomy, EFL, ELT, ESL on September 30, 2014 by #AusELT.